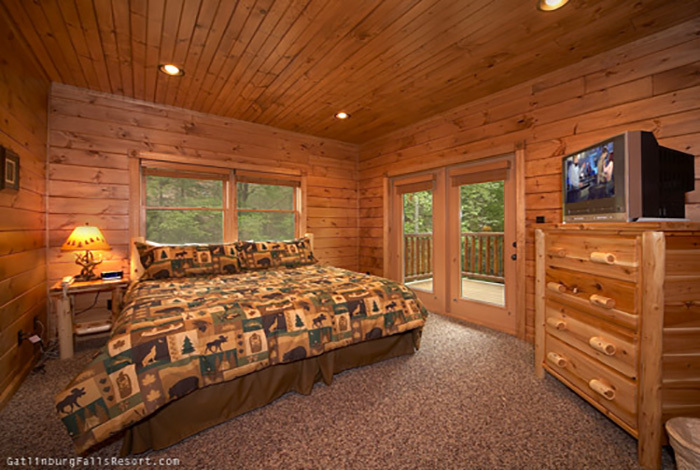 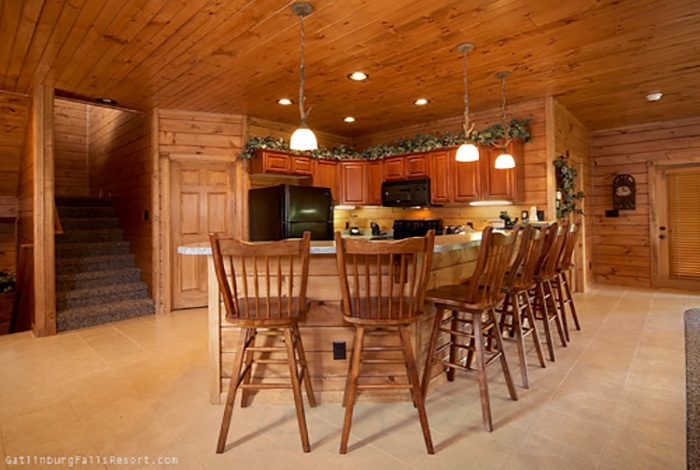 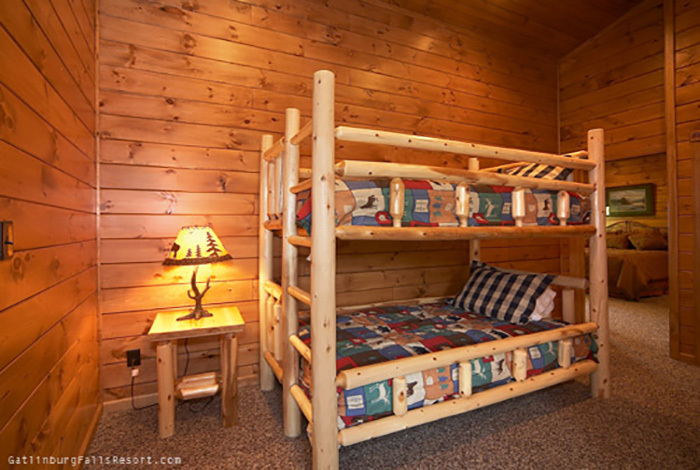 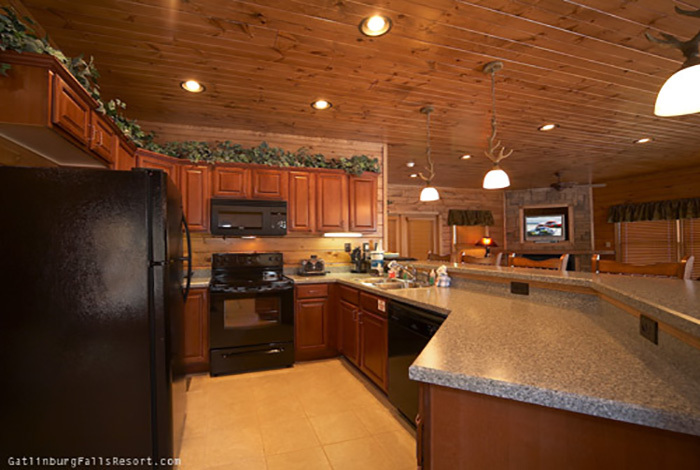 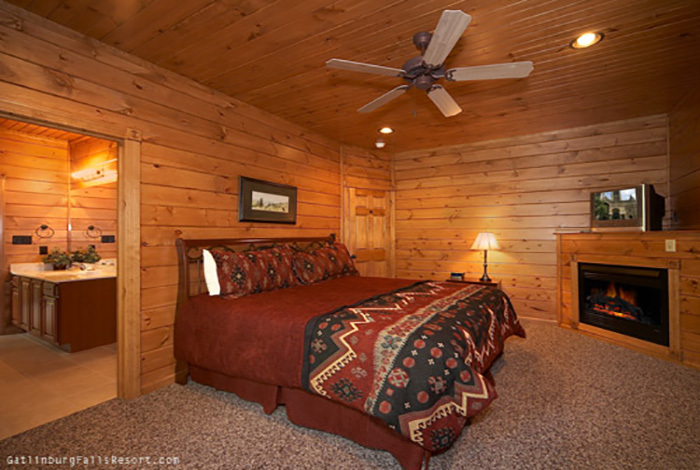 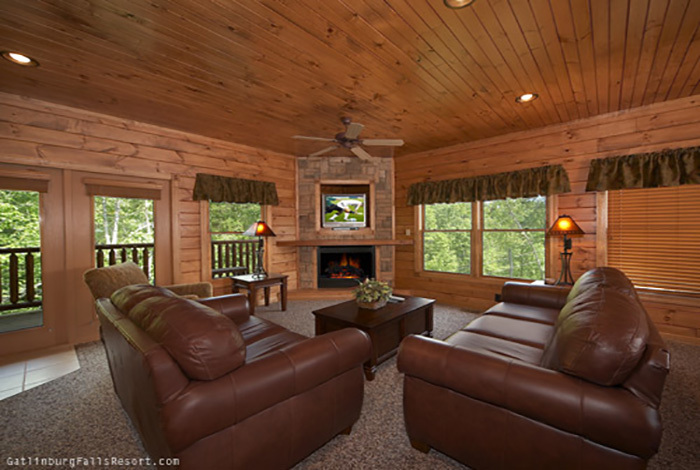 Take your family and friends to Take Me Away, an incredible lodge-style luxury cabin in Gatlinburg Falls Resort. 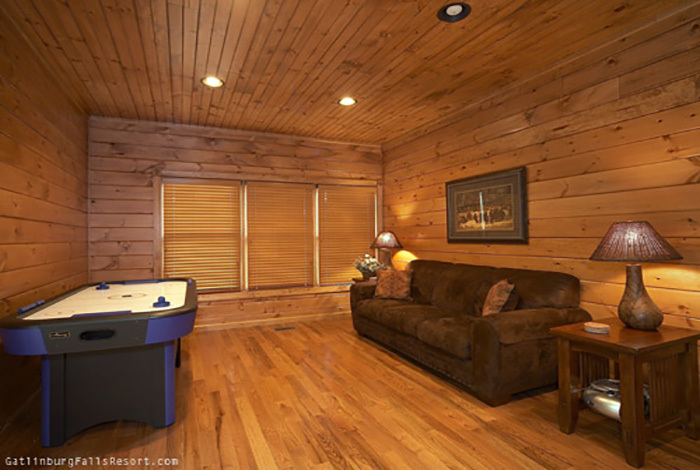 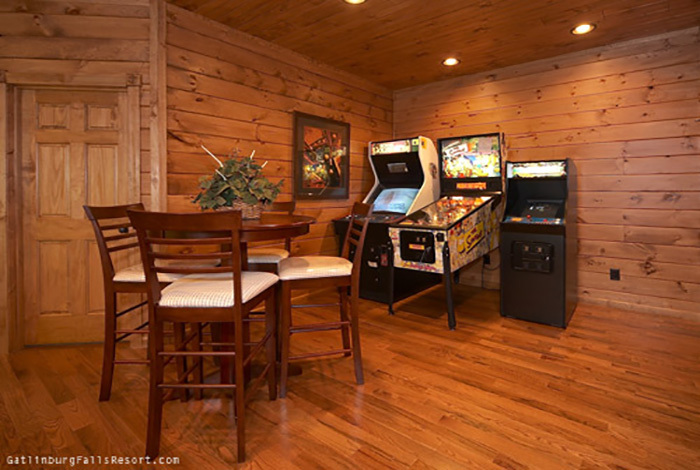 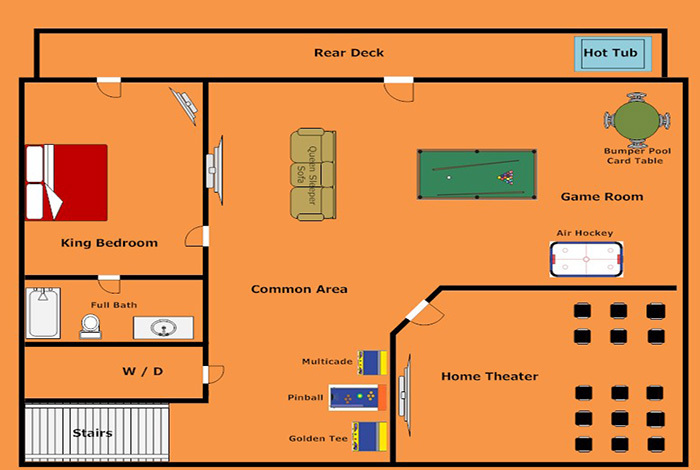 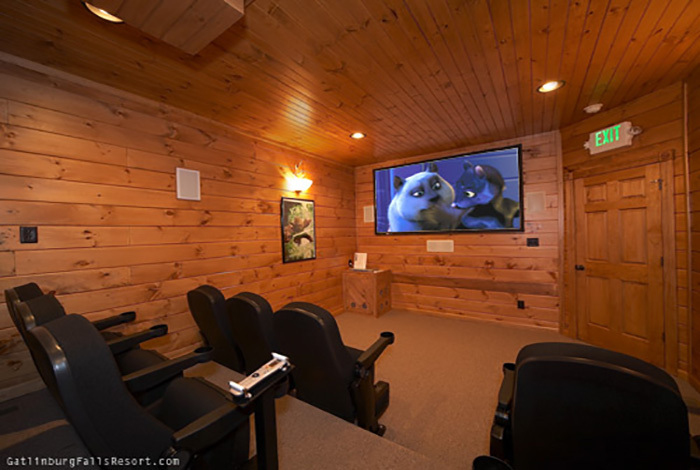 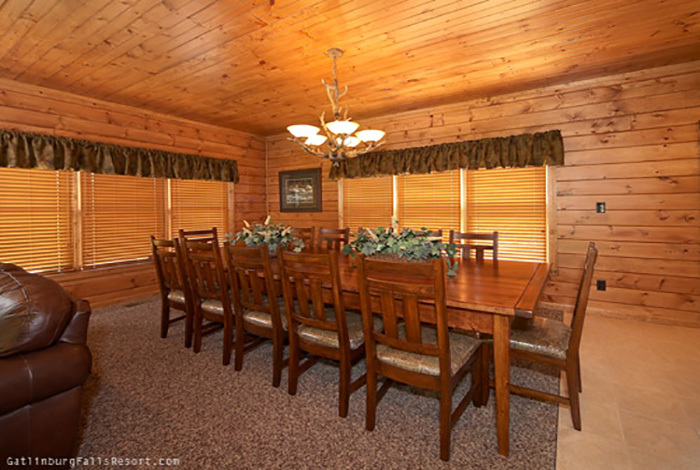 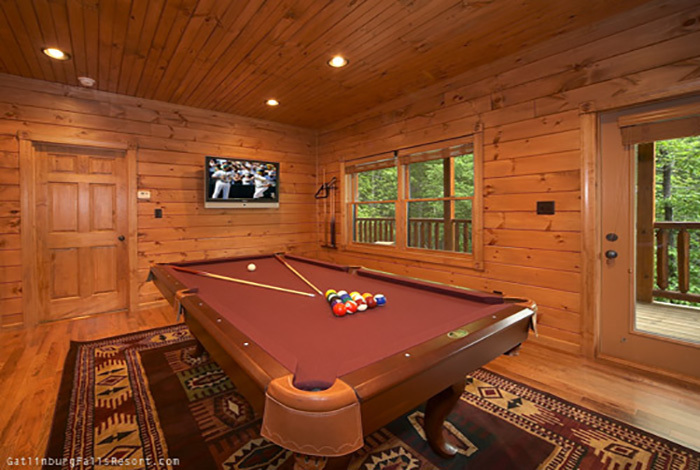 Ideal for gatherings with family and friends, this spectacular Gatlinburg cabin is home to a state of the art Home Theatre, Golden Tee, Ms Pac Man, and Galaga arcade games, pinball, pool table, air hockey, and more. 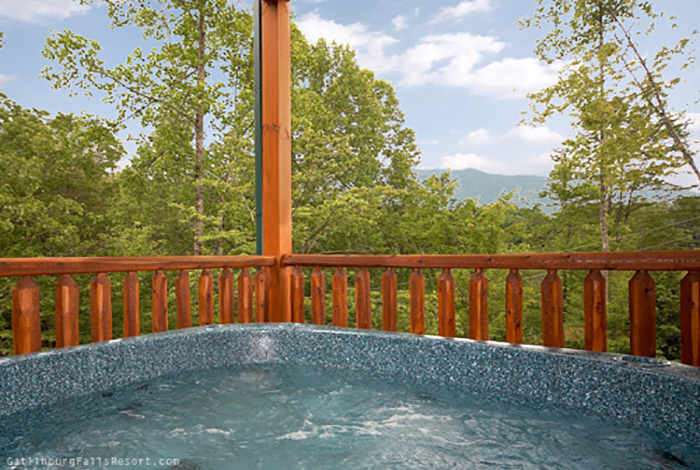 And when you're ready to unwind, enjoy beautiful views of the mountains from your hot tub. 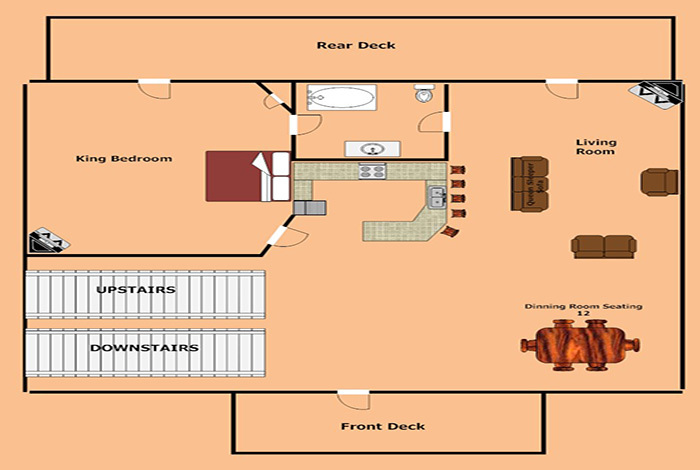 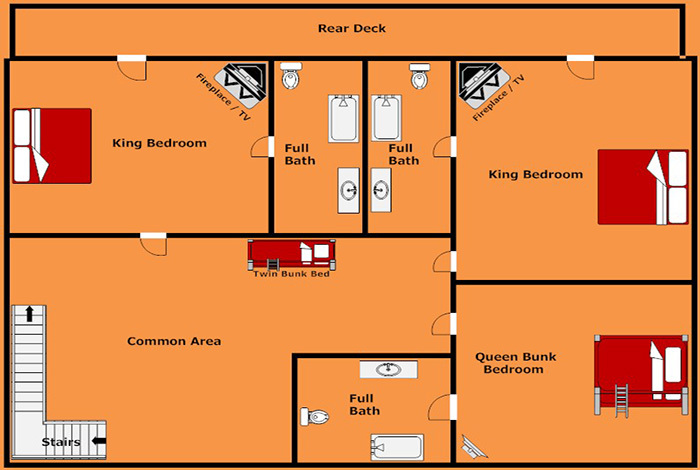 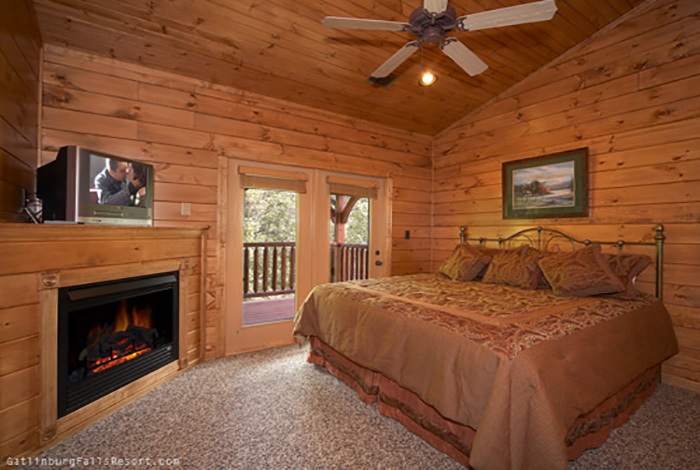 For comfort, this cabin features four king master suites and a queen bunk bed suite all with an adjoining bath with vertical jetted shower spas. 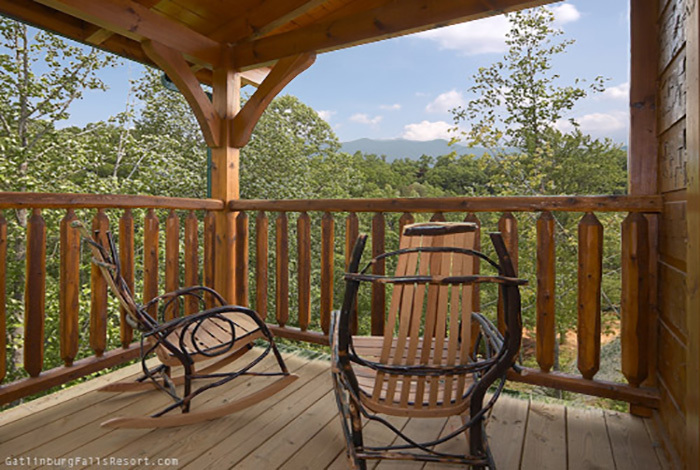 All this and more just minutes from downtown Gatlinburg and the Great Smoky Mountains National Park. 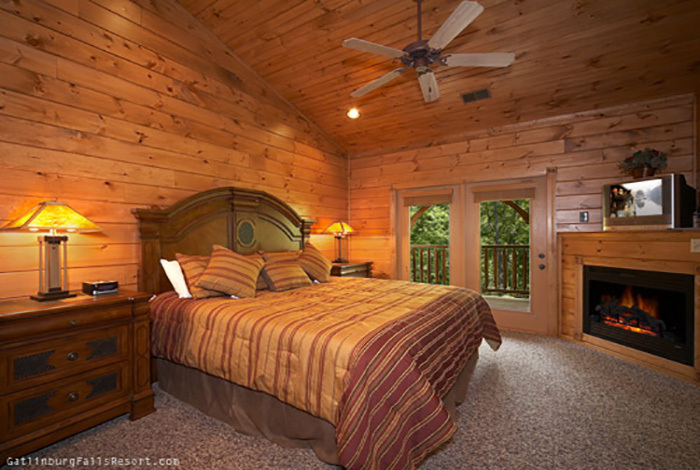 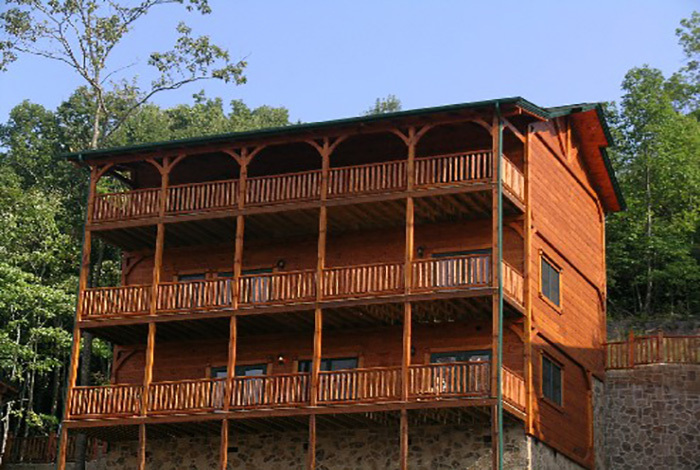 Choose Take Me Away for your next vacation at Gatlinburg Falls.